Meyer Instruments is proud to offer our customers the very latest from Media Cybernetics. Media Cybernetics image analysis solutions are used in hundreds of industries and applications such as Cell Biology, Failure Analysis, Forensics, Gnomic/Proteomics, Materials Analysis, Microscopy, Neuroscience, Pathology, Pharmaceutical, Semiconductor Inspection, Quality Assurance, and many others. Founded in 1981, Media Cybernetics helps individuals and organizations extract and mine knowledge from images through world-renowned software for image capture, processing, analysis, display, and management. Media Cybernetic’s products simplify and enhance image-based data collection and analysis for those who wish to increase accuracy and automate research, development, and quality processes. Meyer Instruments has been an authorized master dealer for Media Cybernetics since 1987. For over 31 years we have collaborated and customized countless copies of their software for a variety of tasks serving Fortune 100 companies, Medical Institutions, Universities and Government agencies! 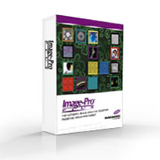 32-bit image analysis software for those who need support for Image-Pro Plus macros, microscope and stage control or 3D measurements. Give us a call today to speak to one of our Media Cybernetics specialists who can help answer questions and find the perfect solution for your application.